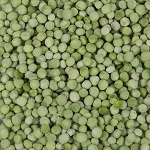 Welcome to the wonderful world of freeze dried vegetables. We select our fresh vegetables at their nutritional peak, and then use a special freeze drying process to gently evaporate the water and preserve the nutrients. In fact, just like our dehydrated veggies, our premium freeze-dried veggies have more nutrients than their canned counterparts. And dehydrated vegetables are light enough for backpacking and camping. What is the difference between Freeze Dried & Dehydrated? 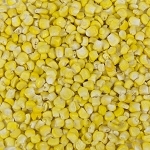 Freeze Dried products are prepared by freezing the product, and then evaporating the water out of the cells. This maintains the products natural appearance, creates a very light product, and allows it to rehydrate quickly. Dehydrated products are prepared by slowly "drying" the water out of the product. The plant cells compact during this process, which allows you to get more product in less space, but it takes a little longer to rehydrate. Both methods maintain most of the plants nutritive value, and the finished products have more nutrients than their canned counterparts. We never use additives, preservatives, or GMOs in our freeze dried products. 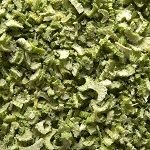 Our freeze-dried vegetables are simply veggies and simply delicious! For the home chef or the backpack gourmet, they are a convenient solution for year-round veggies that are always in season. Give us a call at (800) 696-1395 and we'll gladly help you place your order. Our premium products are made with the best, purest ingredients, and we use a special process to ensure they have a long, healthy shelf life. 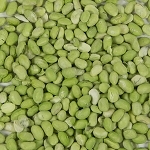 Our Freeze Dried Celery, Super Sweet Corn, Peas, Mushrooms, and Soybeans stay fresh for up to 18 months, or even longer, if vacuum sealed. Enjoy the taste of summer at every meal with freeze dried vegetables that can be prepared easily and quickly, and retain their nutritional value. Short on time? We understand. We developed our line of freeze dried and dehydrated veggies because we wanted to feed our growing family something healthy, fresh, and nutritious, that didn't take a lot of time. We found the answer in dehydrated and freeze dried foods. With Harmony House, you can enjoy more time eating healthy foods with your family, instead of working away in the kitchen. 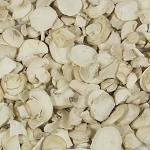 Our dehydrated vegetables are great for backpacking as well.